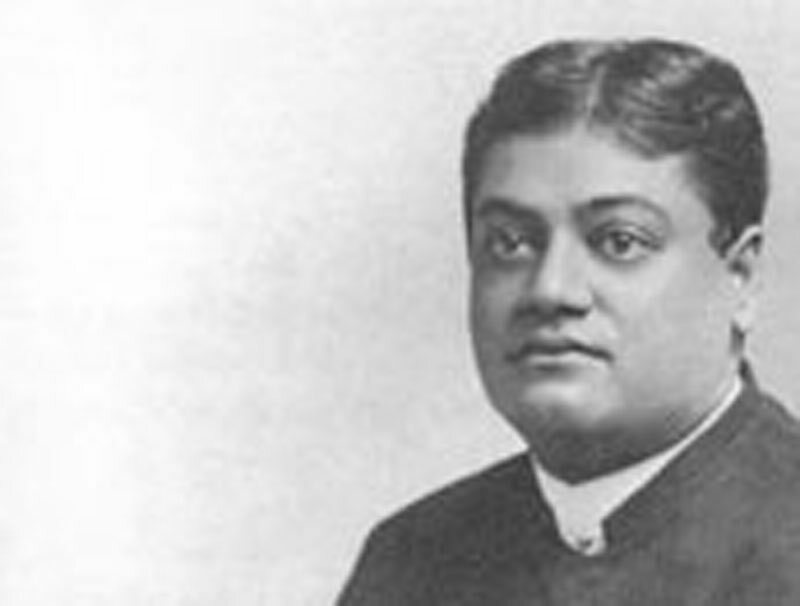 Narada Bhakti Sutras - Teachings of Swami Vivekananda by Topic- Frank Parlato Jr.
Who is the real Guru? 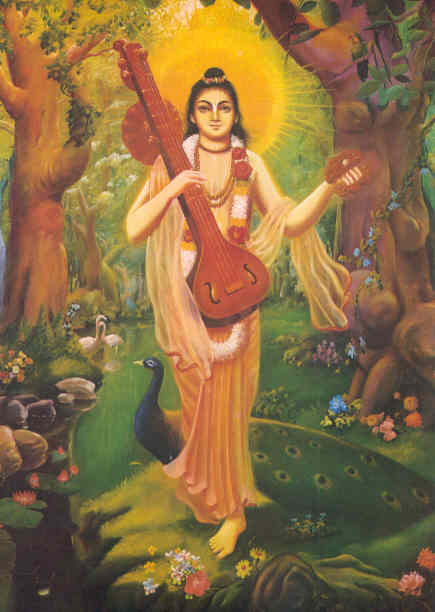 The Bhakti Sutras is a classic work of Hinduism, and consists of connected aphorisms (or sutras) on Bhakti - and purportedly composed in Sanskrit by Narada Muni, an ancient, and, perhaps, mythological sage. This free translation of Narada Bhakti Sutras was dictated by the Swami in America. 1. Bhakti is intense love for God. 5. Knowing which man becomes filled with spirituality, becomes calm, and finds pleasure only in God. 6. It cannot be used to fill any desire, itself being the check to all desires. 7. Sannyâsa is giving up both the popular and the scriptural forms of worship. 8. The Bhakti-Sannyasin is the one whose whole soul goes unto God, and whatever militates against love to God, he rejects. 9. Giving up all other refuge, he takes refuge in God. 11. Or else there is danger of doing evil in the name of liberty. 12. When love becomes established, even social forms are given up, except those which are necessary for the preservation of life. 13. There have been many definitions of love, but Nârada gives these as the signs of love: When all thoughts, all words, and all deeds are given up unto the Lord, and the least forgetfulness of God makes one intensely miserable, then love has begun. 16. Otherwise they would have committed the sin of unchastity. 17. This is the highest form of love, because there is no desire of reciprocity, which desire is in all human love. 1. Bhakti is greater than Karma, greater than Jnâna, greater than Yoga (Râja-Yoga), because Bhakti itself is its result, because Bhakti is both the means and the end (fruit). 2. As a man cannot satisfy his hunger by simple knowledge or sight of food, so a man cannot be satisfied by the knowledge or even the perception of God until love comes; therefore love is the highest. 2. One who wants this Bhakti must give up sense enjoyments and even the company of people. 3. Day and night he must think about Bhakti and nothing else. 4. (He must) go where they sing or talk of God. 5. The principal cause of Bhakti is the mercy of a great (or free) soul. 6. Meeting with a great soul is hard to obtain, and never fails to save the soul. 7. Through the mercy of God we get such Gurus. 8. There is no difference between Him and His (own) ones. 9. Seek, therefore, for this. 11. Because it leads to lust and anger, illusion, forgetfulness of the goal, destruction of the will (lack of perseverance), and destruction of everything. 12. These disturbances may at first be like ripples, but evil company at last makes them like the sea. 13. He gets across Maya who gives up all attachment, serves the great ones, lives alone, cuts the bandages of this world, goes beyond the qualities of nature, and depends upon the Lord for even his living. 15. He crosses this river and helps others to cross it. 1. The nature of love is inexpressible. 2. As the dumb man cannot express what he tastes, but his actions betray his feelings, so man cannot express this love in words, but his actions betray it. 3. In some rare persons it is expressed. 4. Beyond all qualities, all desires, ever increasing, unbroken, the finest perception is love. 5. When a men gets this love, he sees love everywhere he hears love everywhere, he talks love everywhere, he thinks love everywhere. 6. According to the qualities or conditions, this love manifests itself differently. 7. The qualities are: Tamas (dullness, heaviness), Rajas (restlessness, activity), Sattva (serenity, purity); and the conditions are: Ârta (afflicted), Arthârthi (wanting something), Jijnâsu (searching truth), Jnâni, (knower). 8. Of these the latter are higher than the preceding ones. 9. Bhakti is the easiest way of worship. 10. It is its own proof and does not require any other. 11. Its nature is peace and perfect bliss. 12. Bhakti never seeks to injure anyone or anything not even the popular modes of worship. 13. Conversation about lust, or doubt of God or about one's enemies must not be listened to. 14. Egotism, pride, etc. must be given up. 15. If those passions cannot be controlled, place them upon God, and place all your actions on Him. 16. Merging the trinity of Love, Lover, and Beloved, worship God as His eternal servant, His eternal bride — thus love is to be made unto God. 1. That love is highest which is concentrated upon God. 2. When such speak of God, their voices stick in their throats, they cry and weep; and it is they who give holy places their holiness; they make good works, good books better, because they are permeated with God. 3. When a man loves God so much, his forefathers rejoice, the gods dance, and the earth gets a Master! 5. Because they are all God's. 7. Because there is no end to them, and they lead to no satisfactory result. 8. Read books treating of this love, and do deeds which increase it. 9. Giving up all desires of pleasure and pain, gain and loss, worship God day and night. Not a moment is to be spent in vain. 10. Ahimsâ (non-killing), truthfulness, purity, mercy, and godliness are always to be kept. 11. Giving up all other thoughts, the whole mind should day and night worship God. Thus being worshipped day and night, He reveals Himself and makes His worshippers feel Him. 12. In past, present, and future, Love is greatest! Thus following the ancient sages, we have dared to preach the doctrine of Love, without fearing the jeers of the world.